Freshman Dania Bogdanovic has been around the sport of rowing since she was young, and now is a star for the women’s crew team at Ithaca College. The Ithaca College men’s crew team aims to be one of the best teams in the state and hold their own against Division I competition. The Ithaca College women’s basketball team defeated Rensselaer Institute of Technology 55–44 on Jan. 18. The Ithaca College women’s basketball team defeated William Smith College on Feb. 20 80–63 in the Liberty League Conference tournament. The women’s basketball team defeated St. Lawrence University and William Smith College in its first two games of the season. The Ithaca College men’s and women’s crew competed at the New York State Championships April 30 and took home multiple state titles. 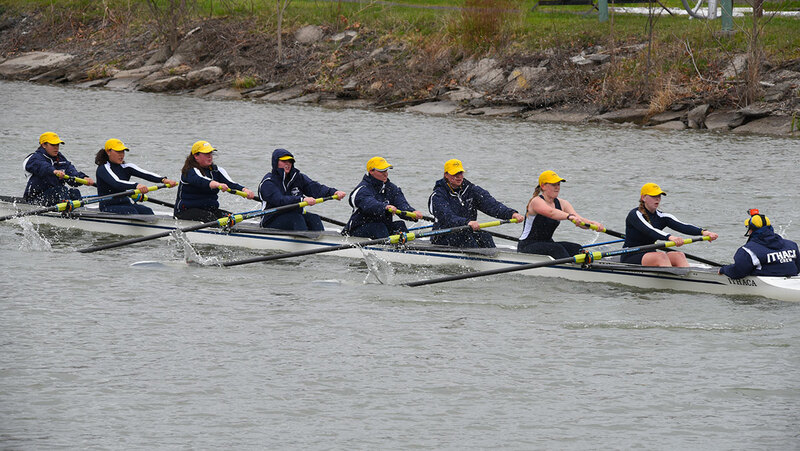 The Ithaca College men’s and women’s crew competed against Colgate University, Marist College and Hamilton College on April 23 on the Cayuga Inlet. A recap of all the Bomber sports action over the weekend.